This was a more productive week. Still tough going but seeing a few fish splashing around a bit. Middle Blackhall was in the action this week. With Swedish host Pontus Gunlycke & his party fishing hard throughout the week. Kent caught a sea liced salmon,8lb from malt steep on Tuesday evening. On Thursday evening Torbjorn Wellrath the hero caught a sparkling salmon 7lb from Cairnton stream. We seen a few fish in Middle & Lower Ferroch on the Cairnton bank but unfortunately couldn’t get a hold of them. 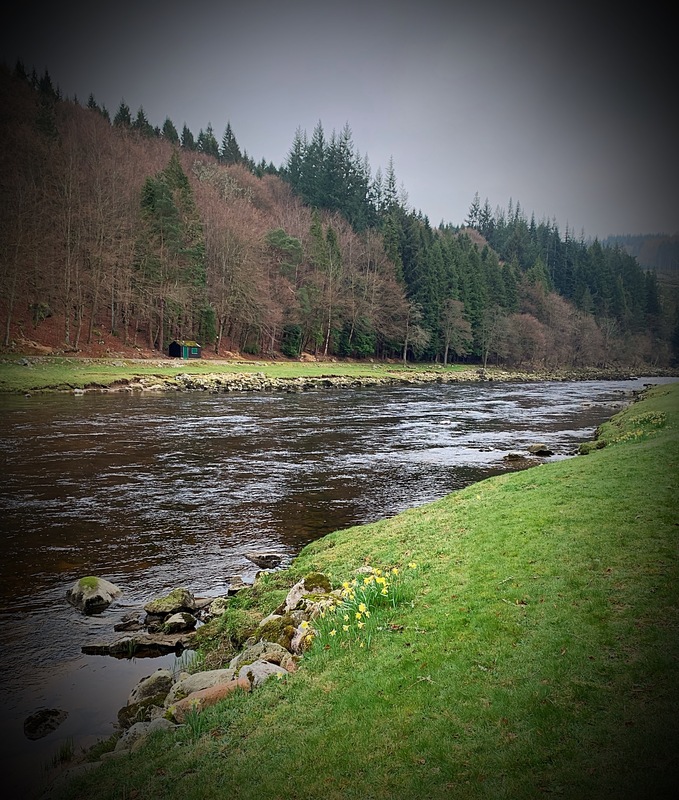 On Saturday I Invited Pontus & his friends over to fish Cairnton as the rods weren’t let. It didn’t take Pontus long before he was in the action with a 6lb salmon from the cottage pool. Using a sink 1/2 with a sunray. Well done that man. Here’s hoping we get some rain over the weekend just too freshen up the System & pull some fish in from down river. 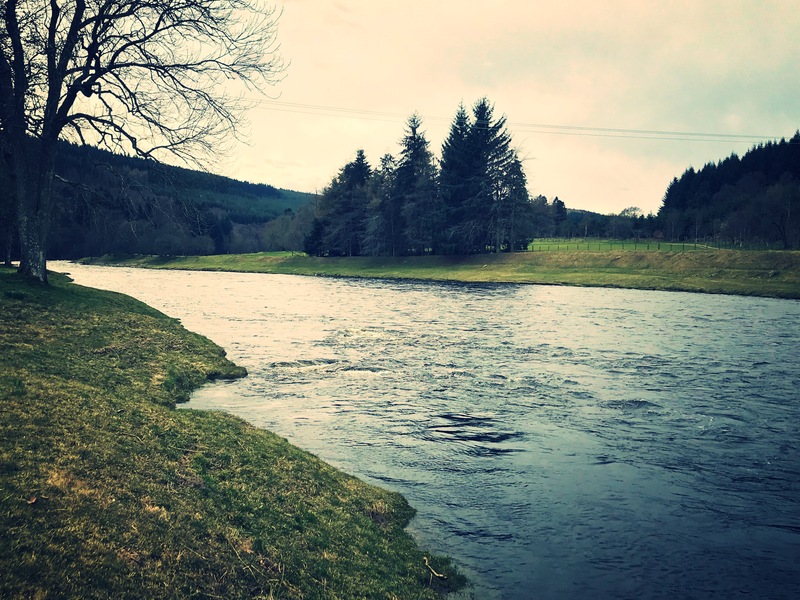 Next week, commencing 15th April 2019 we have the following availability. Cairnton rods at £112.80 per day inc vat for above dates. For all bookings and enquiries please contact Sarah. Bookings taken 7 days a week. Card payments accepted. Further 2019 availability - a number of rods are available in each of the weeks listed below. Please contact Sarah to enquire. This week was a slow start, we needed a change in water. The weather changed by mid week. Thursday we managed to get on the scoresheet with a cracking Sea trout around 2/3 lb. Caught by Ben Richardson in the Cottage pool using an intermediate line with a black Francis. 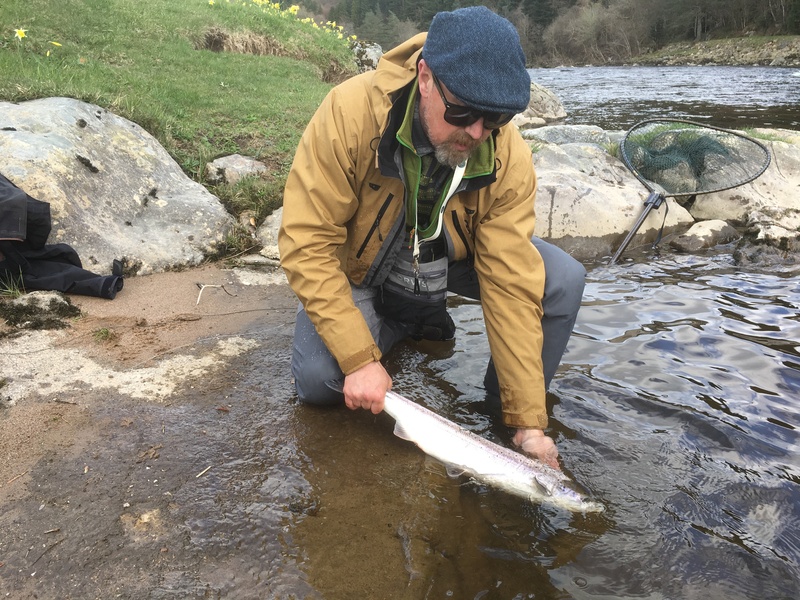 Later that afternoon Will Shropshire hooked into a Lovely salmon from Lower Ferroch with a floating line, slow sink tip and the old faithful Sunray shadow with a nice slow retrieve. On Saturday Ian Anderson fished Cairnton. 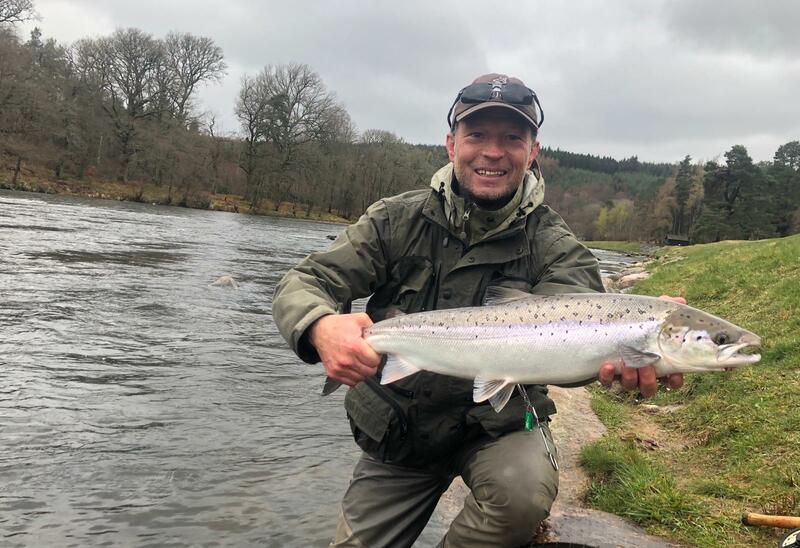 After a quick tackle discussion he was on his way and was off the mark by 9.30 with a stunning fish from Middle Ferroch using a Skagit with a T14 tip and a home tidied willie gun. 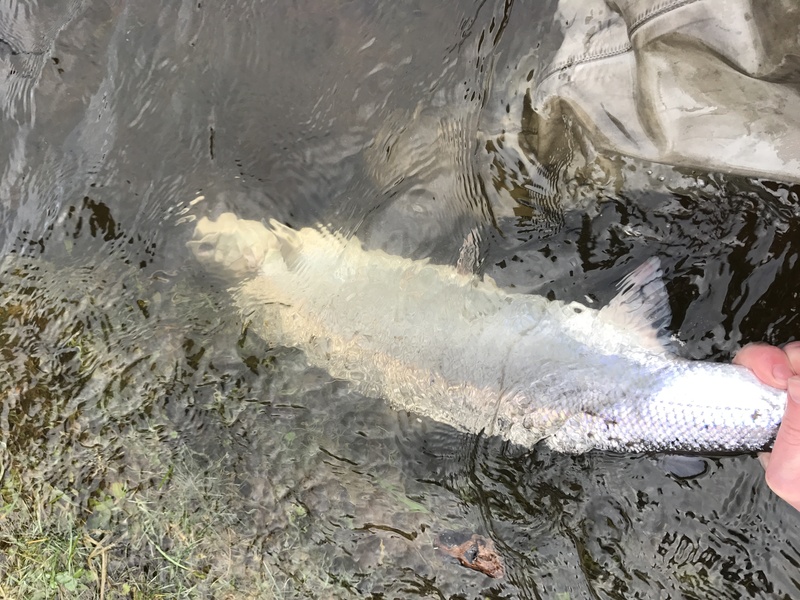 Later that afternoon I changed the fly to a bottle tube monkey, then i sent Ian down into Lower Ferroch where he was rewarded with his second springer of the day a fresh 9lb salmon. No sea lice but very fresh. On Middle Blackhall I had Pontus Gunlycke fishing with his friends for the week they managed to hook a couple of fish but unfortunately lost them. Its encouraging seeing a few fish moving throughout the beat this week. Fingers crossed my fishers get some good sport this coming week. 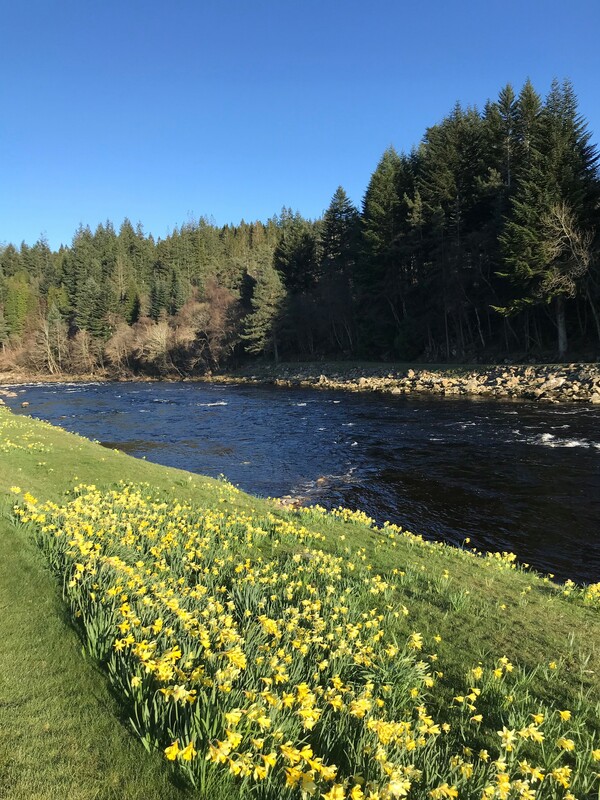 Next week, commencing 8th April 2019 we have the following availability. Cairnton rods at £105.60 per day inc vat for above dates. This was a disappointing week for my fishers with good fishing conditions. We only had a couple of pull’s throughout the week. At the start of the week it was Great to catch up with Gary, who introduced me to his father Dave . Both fished the beat hard and Gary had a strong pull in the Middle Ferroch but it didn’t stick. Unfortunately that’s all the action that they got, despite this the father & son were still in good spirit with smiles & laughs all round. On Thursday i had new fishers to Cairnton, Douglas Campbell and his friend John but sadly no joy for their hard efforts. Both fished their best from top to bottom. Very disappointed with this weeks performance, even though we seen a few fish throughout the beat. Hopefully next week things will change. 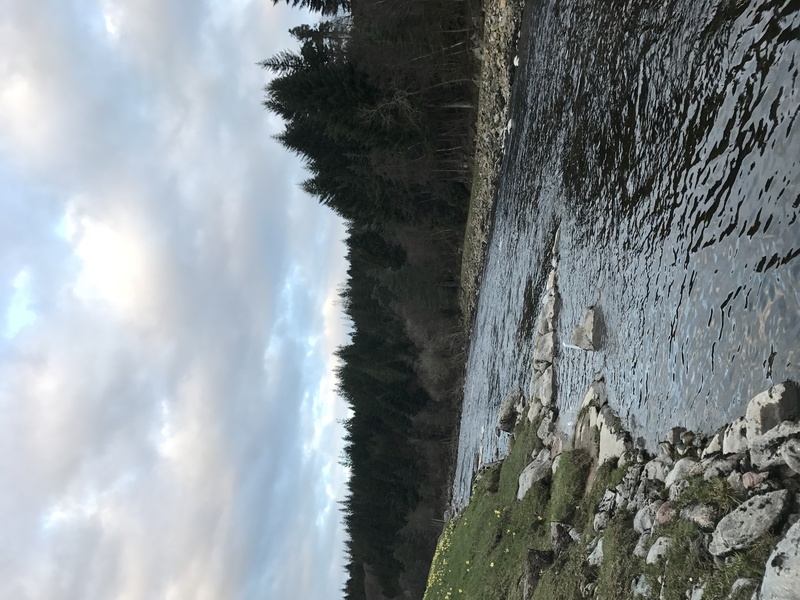 Next week, commencing 1st April 2019 we have the following availability. This was a disappointing week for my Fishers. We had a rise in water from the snow melt up the Valley for most of the week. The river shot up too 5 feet with a slight colour. The river then started dropping on Thursday. On Friday I had Mike McBain & John Young fishing over at Middle Blackhall. We discussed tactics over a cup of tea. We decided we should set up two rods, a floating line with a super fast sink tip and A full intermediate on the other rod, both with my favourite fly, a Dee monkey. After a few quick pointers Mike & I headed up steam to the kelpie. I sent John down to start in Malt steep about 30 minutes later John was in to a sparking 9lb springer using a floating line, a sink tip & my favourite the monkey, it did the trick. Well done to that man. Next week I hope we get better sport.